Rowing is more than just an overlooked outdoor sport, it also happens to be an overlooked indoor exercise. Wrongfully so, because it’s just too beneficial to ignore. A single rowing machine combines the best of cardio and resistance training, all while giving every part of your body a workout. If you’ve got your heart set on a rowing machine, where do you start? Only a few individual features separate bottom-of-the-barrel bargains from high-end luxury models. Concept2’s Model E is one of these high-end models, so naturally the question is: Are the benefits worth the additional price? Those who are new to rowing and those who are already avid rowers will see this product very differently. Those new to the game (perhaps you were piqued by an article that made rowing sound fun) might want to pass. Not just the price, but also the 36 square feet of floor space needed is quite the commitment. The already avid rowers (or those doctor-recommended to start) already KNOW this is a long-term lifestyle purchase. For them, it’s well worth the price. 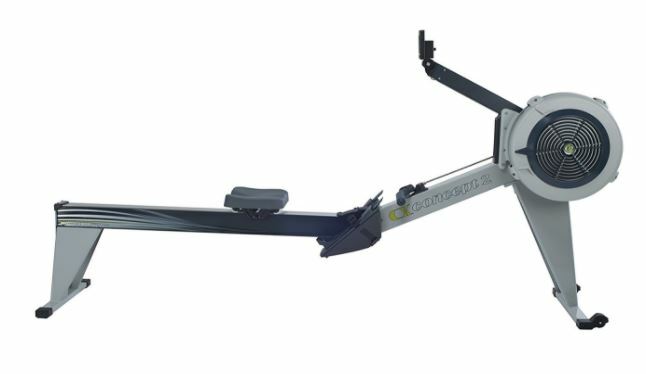 We called Concept 2’s Model E the ‘Cadillac of rowers’ for good reason: It’s a high-performance machine, made with high-quality materials. The welded design makes it as sturdy as a ship. It’s built to last a literal lifetime. The adjustable damper setting allows you tailor your workout. Turning it up makes it feel like you’re rowing a bigger boat, which gives you a strength-training session. Lowering it gives you a smaller boat, and thus something more aerobic. Because rowing is such a complex exercise, it can be difficult to judge the intensity of a workout. This is where the included electronic performance monitor comes in. The monitor analyzes the speed of each stroke, drag levels, and damper settings to tell you how much ‘work’ you’re doing. The monitor also features some electronic games (nothing special, they get old) and can tell you how far you’ve rowed based on the size of your boat. This machine is so quiet that you’ll actually be able to hear your music without headphones, a feature I’ve found lacking in other rowing machines. Finally there’s the fact that the seat is almost two feet from the ground. Where other rowers have you practically sitting on the ground, the Model E puts you at standard ‘chair height’. 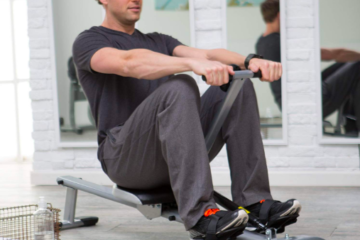 If you’re rowing because you’re mobility impaired and want a low-impact exercise, you’re also going to be very happy with how easy it is to get in-and-out of this machine. High quality welded steel body & nickel-plated chain. 9’ by 4’ floor footprint. The seat is 20” above ground. This piece of equipment is so sturdy, you shouldn’t be surprised if it outlasts literally everything else you own. That nickel-plated chain isn’t just for show. Not only does it add reinforcement and durability, but it also reduces how often maintenance is required. You’re only going to have to lubricate this every 50 hours of use. 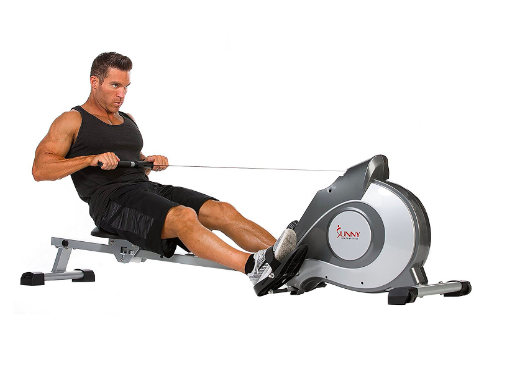 A rowing session could last as long as an hour, which highlights a single flaw in the machine’s design: after sitting for so long, the seat can start to feel uncomfortable. Many users have gone out of their way to swap out for alternative seats. This is so important it gets repeated in its own section so you don’t overlook it. At 20”, the seat on this rower is remarkably high off the ground. To give you context: an average kitchen table is 30” high, and the average kitchen chair is 18”. 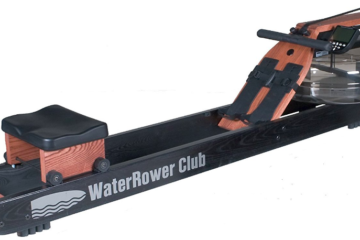 Because rowers are the go-to recommendation for those with weak backs, knees, and ankles. Mobility is a huge-concern for this crowd, and crawling down to floor height can be a literal pain. You’ll be happy that this is as easy to get into as a normal kitchen chair. Young to old, disabled to able bodied: rowing is an accessible and effective exercise anybody can do. Low maintenance due to high quality materials. Sturdy metal frame supports users up to 500lb. 36ft2 footprint and 100lb weight. You’ll need help with the first-time setup. Many buyers seek alternative seat replacements due to discomfort. Software doesn’t allow for interconnection to external health apps. 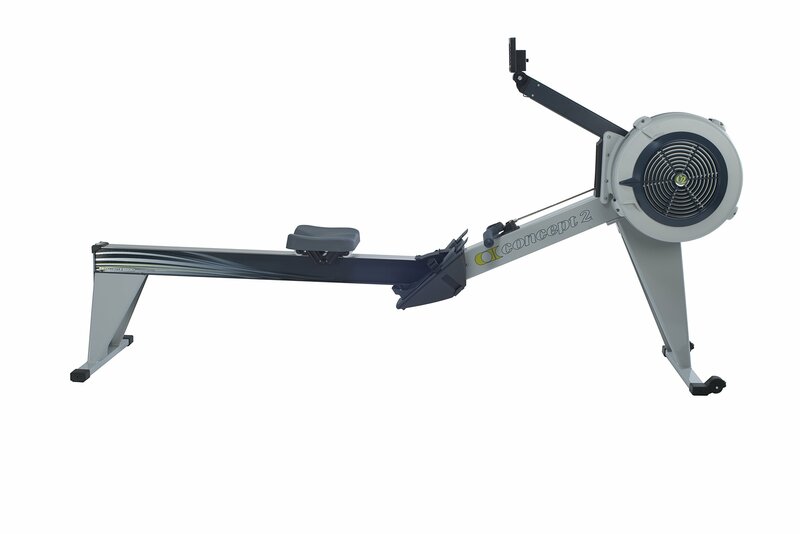 There’s no doubt about it, the Concept2 Model E is at the very top of its class, and at the very top of the rowing machine bracket. 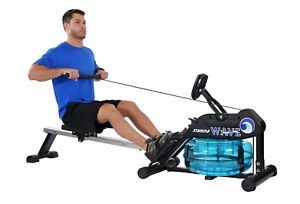 This is a serious purchase, for somebody serious about getting this form of exercise in. If you’re on the heavier side, doctors have probably already recommended exercises like rowing, which are easy on your joints. Because this model supports up to 500lb, it’s one of the very few choices for anybody weighing over 300lb. Elderly, disabled, or injured users will find this model similarly perfect due to mobility concerns and joint fatigue. And finally, if you’re one of those who just absolutely love rowing and want something to last, this model was made for you. 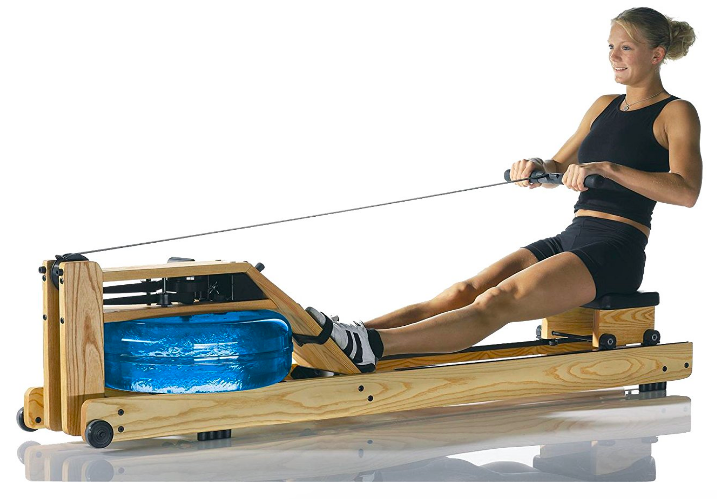 If you’re looking to get into rowing for the first time, this model might be a bit much. 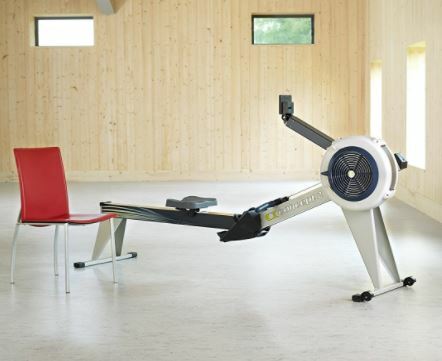 Just like your first car shouldn’t be a Lamborghini, your first rower should be more sensible. However, if you absolutely know that you’re going to make rowing a part of your lifestyle, there’s no better machine on the market. The materials and design are so solid, I wouldn’t be surprised if you’re leaving this same in-tact rower to your great-grandchildren. Maybe you’re an avid rower and don’t happen to need the 20” high seat. If that’s the case, you can shave about 10% off the price by opting for the Model D instead which is exactly the same, other than the seat height. 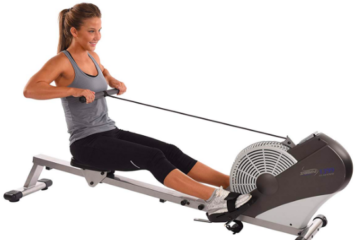 If you’re not sure if rowing is ‘your thing’ but want to give it a try, consider the Sunny Health Fitness SF-RQ1205. If you’re somewhere in the middle between newbie and pro, consider the mid-range Sunny Health Fitness SF-RW5515.